Photo of: East Coast of Ireland: Dublin: Skerries. Windmill at Skerries on the north coast of Dublin. 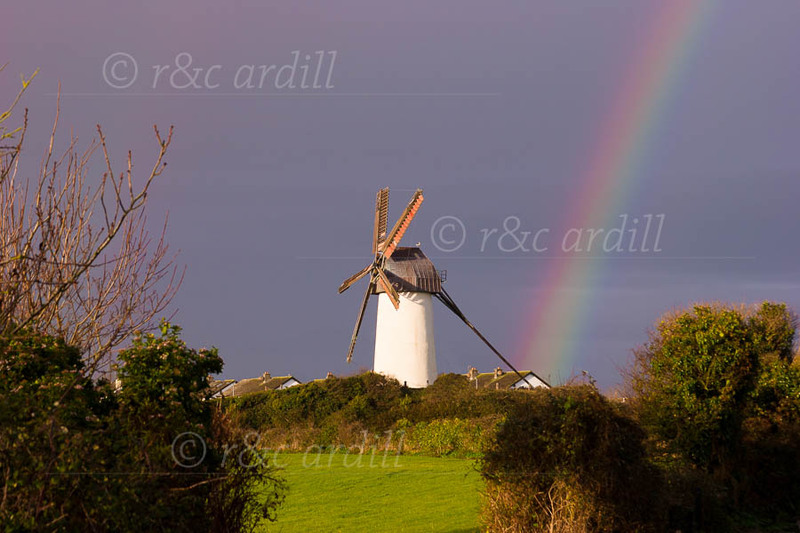 The windmill was caught in a burst of sun with a dramatic leaden sky behind. The rainbow can just be seen mirrored in the sky to the left of the picture.